Brayden Ebbs believed he should have made the finals at the Sierra Nevada Classic. 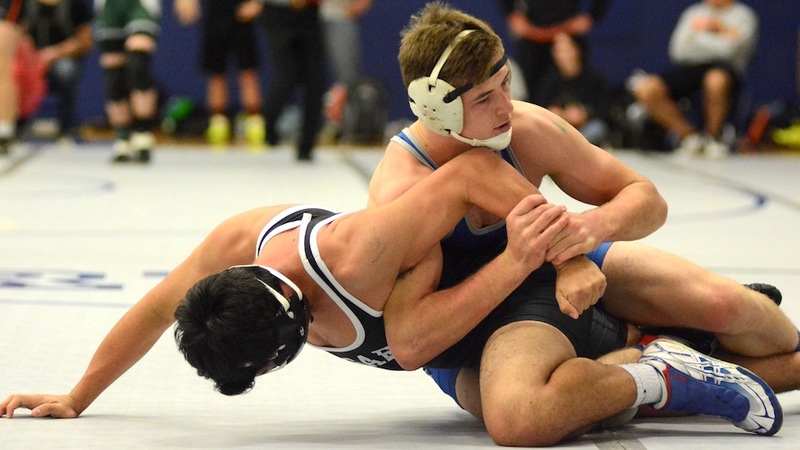 But the McNary senior didn’t let a disappointing loss in the quarterfinals keep him from finishing the 64-man, double elimination tournament strong. Ebbs won four matches in the consolation bracket to place third at 160 pounds on Dec. 29 at the Reno Livestock Events Center. Ebbs lost to Austin Watson of Thurston in the quarterfinals. Watson finished the tournament in second. In the consolation bracket, Ebbs earned a quick pin and then won two decisions, 9-4 and 8-1, to advance to the third place match. At 126 pounds, McNary junior Enrique Vincent advanced to the semifinals, where he was pinned late in the second period by Rhett Miner of Lehi, Utah. After losing a 4-2 decision in the consolation bracket, Vincent then pinned Alex Jimenez of Escalon, Calif. to place fifth. Blake Norton (220) and Alex Harrison (285) were both one match away from placing. Norton reached the quarterfinals and finished the tournament 3-2. Harrison went 4-2.